I was pleasantly surprised to find that true upon graduating college, but I was also pretty surprised to find out why people need good writers: because they can’t actually write themselves. It’s actually a little scary to see how many business professionals can’t write effectively, but what’s even scarier is when those people, who know nothing about copywriting, insist on writing their own website copy. I realize I’m shooting myself in the foot a bit here, but hiring copywriters is expensive and you’ll save a load of cash if you can do your own writing for your website (although, I wouldn’t recommend the DIY route for large sites). If you do hire copywriters, you need to have a working knowledge of writing from which to evaluate their work. If a copywriter asks you for direction or input, you need to be able to effectively give feedback. That said, writing is a hard-earned skill; it takes time and practice, so don’t expect to become a writing whiz easily. But if you’re sitting down to write out some website copy or are asked for input from your copywriters, keep the following in mind. Ultimately, your website is designed to get people to take action (a.k.a. your goal conversion), whether that’s a purchase, sign-up, download,etc. Your website copy plays a huge part in getting your viewers to convert, and thus needs to be highly effective and targeted. To get people to take your desired action, you need to figure out what causes your customers to act and what turns them away, so you can capitalize on their motivators and avoid their discouragers. More simply put, figure out why your customers buy your product (or whatever your goal conversion is), what would make them buy it again, and what would make them never buy it (seems pretty obvious, right?). By finding out this information, you can make sure your copywriting reflects your customers’ wants and needs, and you can make sure your writing matches the language your customers use. The most effective way to find out what motivates and discourages your customers is to ask them. In-depth customer interviews are a great way to get to the bottom of your customers language, desires, wants, needs, etc. Start with this list of interview questions and adapt it as need be. This list should just serve as a starting point, but once we’ve interviewed a decent sized pool of customers, you’ll start to see recurring themes. You should be able to use customer answers to get a feel for what pushes your customers to convert and what holds them back. Obviously, you should showcase features many of your customers are attracted to, and try to fix the problems customers encountered with your products. You should also begin to get a feel for the language your customers use. This is hugely important to take note of, because your customers will feel your brand is more personable if you use language on your website that they use themselves. Take special note of the adjectives your customers use to describe their problems and the features of your products, this way you can describe your potential customers’ problem and accurately provide a solution. You should also take note of any differing terminology; for example, if you sell laundry baskets, do your customers call your products laundry baskets? Or do they call them something else, like wash baskets? You don’t want to immediately alienate your customers by using language they don’t use. Let’s be honest here, your brand isn’t going to redefine the wheel. Unless you have a revolutionary/brand new product, your product is probably one of several options consumers have. Your web copy needs to carefully present your product, because if you try to sell your just your product, you’re going to be selling the product of your competitors too. You need to have a unique selling proposition (USP), something that differentiates you from your competitors (and I’m really hoping you know who your competitors are). Define the Problem: After analyzing your research, identify the problems your customers have. What are their common frustrations? How do they want those problems to be fixed? Explain the Unique Benefit You Offer: What benefit do you offer that no one else does? We aren’t talking about products here, we’re talking about solutions. Once you’ve identified the problems your customers encounter in your research, brainstorm ways your brand fixes them. How can you fix your customers’ problems in a way that other brands can’t? Take a look at these awesome brands who have really interesting USPs for inspiration. There are countless food and fitness blogs out there (some which I really appreciate), but a lot of them sound really, really similar. Nerd Fitness stands out (and is one of my favorites), because it caters to a very niche market: self-proclaimed nerds who love being healthy. 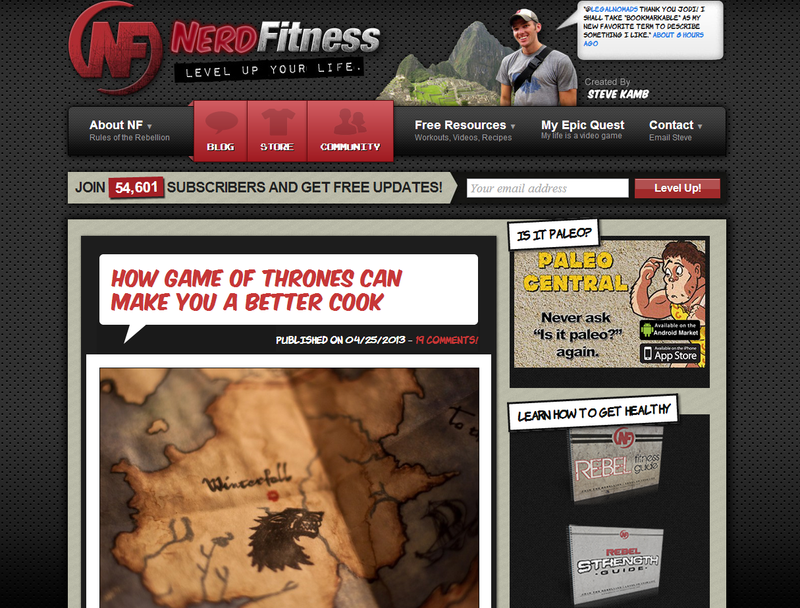 This site totally embraces both the nerdy and the fitness, which sets them apart from a lot of the really meathead-ish blogs out there. Plus, Game of Thrones + cooking = win. Like fitness sites, lifestyle advice sites are hugely popular, and they all sort of blend together. 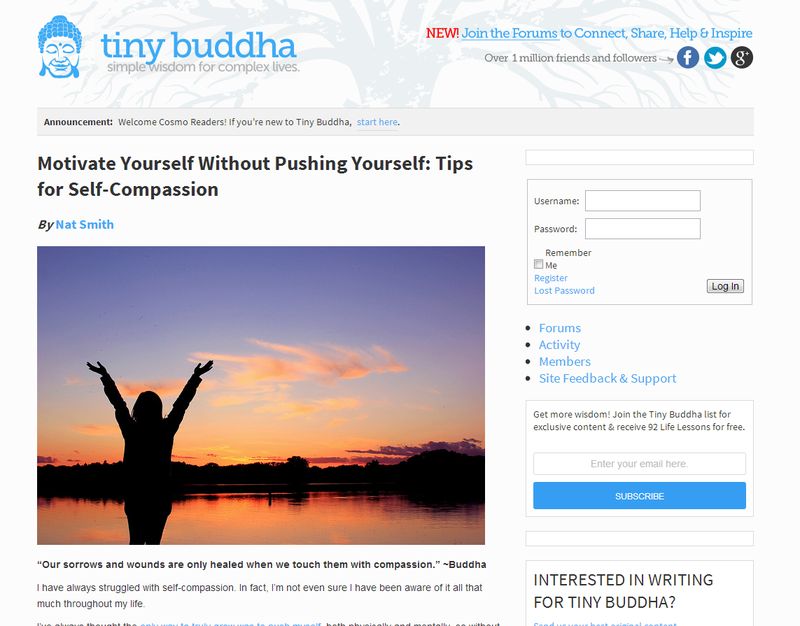 What sets Tiny Buddha apart is this, “simple wisdom for complex lives.” The USP here is simple, easy to understand, uncomplicated advice and wisdom for hugely complex lives. How many shoes and clothing companies are out there? A ton. And Zappos doesn’t carry a unique line of shoes; they carry name brands that department stores and Amazon carry. 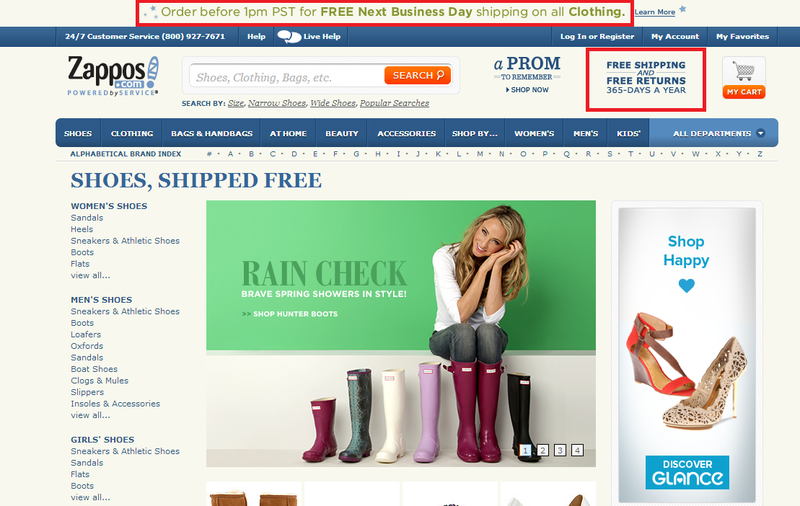 So what makes Zappos successful and sets them apart? They have free shipping, free return shipping (and you can return items for up to a year from the purchase date), and fabulous customer service. Their USP isn’t their products, it’s their service. Once you’ve nailed down your website’s USP, you need to make sure your website copy reinforces it. One of the best ways to incorporate your USP into your site copy is through a value proposition, which is a statement on your website that explains the value and benefit customers can expect to get from your product. Headline: What is the end-benefit you’re offering? This is your main attention-grabber; this is also where you should talk about the second aspect of your USP (the unique benefit). 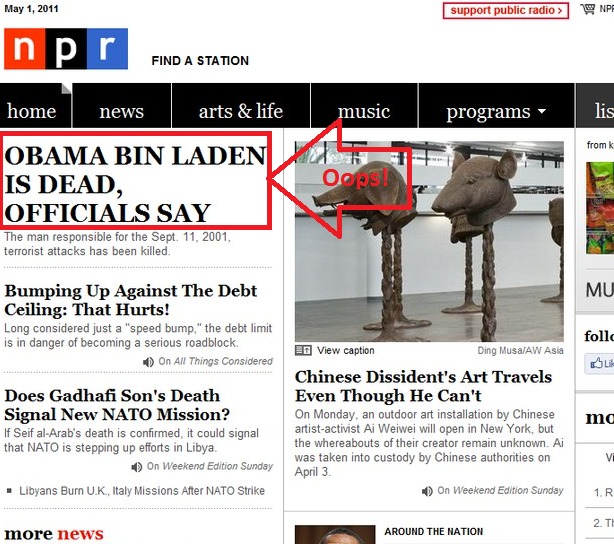 Remember, a headline is only one sentence. Sub-headline/2-3 sentence paragraph: This should be a specific explanation of what you do and what problem you fix (which is the first component of your USP). 3 bullet points: List the key benefits or features of your product. Remember, these should be benefits your customers told you about in your research--you should use the language your customers used to describe your product’s benefits. Visual: Images communicate much faster than words and will attract customers. As Peep Laja points out in his article, Square has a fantastic value proposition, and it’s one of my personal favorites. As you can see, the copy on Square’s website follows the value proposition “formula” really well, but beyond that, the copy positions the USP strongly. The problem Square solves is small business not being able to accept credit cards (as seen in the headline). 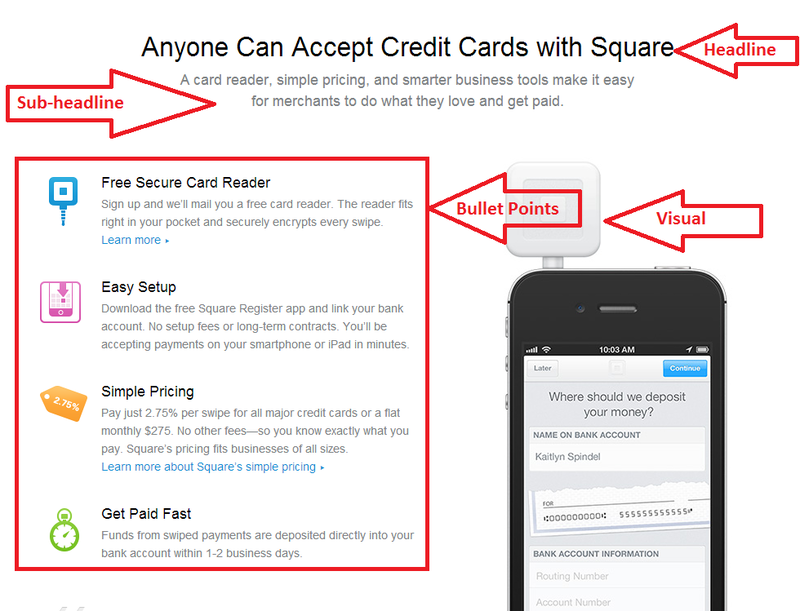 The unique benefit Square offers is simplicity, as seen in the bullet points and sub-heading. Turn your USP into concrete website copy by incorporating it into your value proposition, which will allow you to differentiate your brand from your competitors. One of the cardinal rules of on-page copywriting (and marketing in general) is do not alienate your consumers. The second you starting writing like a robot or an advertisement, your customers will leave your site. The best way to make sure you’re writing in a way that relates to your customers is to pay attention to how your customers talk and write. What’s their verbal personality? Are they informal, upbeat, and enthusiastic? Or are they more laid back, inclusive, and funny? It pains me that I have to say this, but it’s seriously necessary: always use proper grammar and spelling! No matter what. No excuses. If you can’t use proper grammar for the sake of grammar lovers like me, then consider the fact that spelling mistakes cost millions in lost online sales. Keep your copy clean and concise: After you’ve finished writing, take a break from it. Then come back to it and read it out loud. This will help you identify problem sections and overly wordy areas. Normally, you can cut your original draft down by at least 30 percent. It’s important to keep your web copy concise and easy to understand since web readers scan instead of read. Use active voice: Unfortunately, this piece of advice can be a little trickier to catch, but is really important as passive voice makes for weaker writing. Passive: The birthday candles were blown out by Ben. Active: Ben blew out the birthday candles. Passive: We have had six new hires arrive at the office. Active: Six new hires arrived at the office. If your customers wanted to hear all about you, they would look at your advertising. But since they aren’t doing that, you should assume your customers actually want to hear more about themselves than you (don’t we all?). There’s no perfect formula to writing, because every audience is different. Ultimately, you need to write, test, and revise continually.